Bitcoin Faucets | Get Paid! In late 2017, GetPaid! published a blog entry about Bitcoin and briefly explained in non-technical watered down terms how it works. If you are unfamiliar with Bitcoin, you might want to take a look at that post called Bitcoin Blitz before you proceed. If you are already familiar with Bitcoin and are just looking for some Bitcoin faucets to collect free Bitcoin - READ ON! If you don't have computer hardware capable of mining Bitcoin, perhaps a faucet is more your speed. I currently use a few Bitcoin faucets you can also join to get in on this currency craze! Initially, you won't earn a ton of money using Bitcoin faucets - most likely only pennies to a dollar a day, depending on how many faucets you join and how often you are able to actively collect Bitcoin from those faucets. But with the recent rate that Bitcoin value has skyrocketed, you can very easily experience a huge gain in value over a short time span as those trends continue! Below are links to some of the Bitcoin faucets that I currently use. I will add more as I test them out, but only if I find them to be profitable and legitimate. If any faucets dry up or fail to maintain high standards I will immediately remove them from this list. Come back often to see what new Bitcoin faucet opportunities await! (And again, read the Bitcoin Blitz blog entry for more information on how Bitcoin faucets work). Refer other family and friends to these faucets and you can further increase your own Bitcoin earnings! Because the value of Bitcoin and Satoshi (the smallest fractional denomination of Bitcoin) will vary from day to day, I cannot give an accurate dollar amount of my earnings with the faucets below, but if you plug the Satoshi numbers below into this conversion site, you can see real dollar values of what I have earned and get a good idea of how much you can earn if you give it a shot! There are other digital cyptocurrencies which operate along the same lines as Bitcoin, but have differing values depending on the current market values. Those include Litecoin, DashCoin, Dogecoin, among many others! Although Bitcoin is the chief cryptocurrency, you can earn from these "altcoins" also, so I have included links below to some altcoin opportunities as well. Good luck and turn on those spigots!!! (Below are just a sampling of the main faucets I use, for a more complete and concise list of more crypto faucets that you can use as your daily routine, click here). I started using FreeBitco.in in December of 2017 and have earned over 106,000 satoshi since then. You can withdraw new satoshi every hour from FreeBitco.in. Moon Bitcoin, Bonus Bitcoin, and Bit Fun are three different faucets, but they all pool their satoshi together into one microwallet, so each faucet reflects the total pooled amount earned from all three. I started using each of these faucets in November of 2017 and I also do a little bit of light web browser based Bitcoin mining through their microwallet CoinPot. I have collectively earned over 320,000 satoshi from these three faucets! Bonus Bitcoin allows you to drain the faucet every 15 minutes! Moon Bitcoin and Bit Fun have only a five minute wait time, but will accumulate even more credit if you wait longer to claim your satoshi. Coinpot also allows you to accumulate a few other cryptocurrencies. Depending on how their respective values are trending, you can easily transfer between these different coins right in your Coinpot account. Try these three faucets for some additional Coinpot earnings! Cointiply allows you claim coins up to once per hour in various amounts when you spin their number wheel. It also gives you coins for performing other offers or playing online games. Unlike the other typical faucets, Cointiply doesn't track your earnings specifically in Bitcoin or Satoshis. Instead, your coins directly equate to a corresponding dollar amount. (Cointiply also provides you with a running conversion of that amount in Bitcoin value). Once you reach 35,000 coins ($3.50) you can cash out at the current Bitcoin price. I began using Cointiply in March of 2018 and have received over $80.00 in Bitcoin value so far! Much of these earnings came from a crypto mining game that the site has since shut down in December of 2018, but it is still a very reliable faucet and has some good paying offer walls available as well. Cryptotab is a 100% passive Bitcoin earning opportunity. You do not need to do anything to earn your coin - no ads to click or captchas to solve. All you need to do is install the Cryptotab extension to your Chrome browser and share your referral link with like minded friends! The tab will mine for Bitcoin in the background whenever you have your Chrome browser open. I have been using Cryptotab since April of 2018 and have earned over 19,000 satoshi so far. I have not noticed any adverse effects or slowdown in my computer over that time. You have the option to adjust your Cryptotab settings which will affect how fast or slow you accumulate satoshi. If you are looking for the easiest and most passive method to earning free Bitcoin, Cryptotab ranks pretty high! Give it a try and invite your family and friends to do the same! I started using DailyFreeBits in December of 2017 and have earned over 7,000 satoshi since then. You can drain the DailyFreeBits faucet once every hour to increase your satoshi. Many faucets network together to accumulate earnings in a central site called FaucetHub. There are hundreds of active faucets tied to FaucetHub, but many come and go. Linked below is a list of some of the best paying crypto faucets (including those tied to FaucetHub) that I use on a regular basis and have reliably paid out. (I will periodically REMOVE from this list any faucets that dry up and add new faucets that pay reliably, so be sure to check back frequently). Since December of 2017, I've earned over 350,000 satoshi from FaucetHub faucets. I started using the BTCClicks faucet in December of 2017. It is an ad clicking faucet which provides daily ads to click to earn various amounts of satoshi. Since joining BTCClicks I've earned over 30,000 satoshi simply by clicking ads as I watch TV or listen to podcasts. adBTC provides daily click ads to accumulate satoshi in three different formats: regular ads -which require you to click a verification link once the ad timer runs out (but you can surf away in other tabs while you wait); active window ads - which require you to keep that window or tab active in order for the ad timer to tick down and credit; and auto-surfing ads - which will run continuously until all are complete, giving you credit for each ad along the way. adBTC has paid 14,000 satoshi into my FaucetHub account since September, 2018. ClixCoin has a different visual layout, but works in much the same way as adBTC. It has the same three ad categories: regular, active, and automatic. You can come back daily and get new ads each day while you watch the satoshi roll in! I began clicking on ClixCoin in July of 2018 and have earned 17,000 satoshi easy as can be! 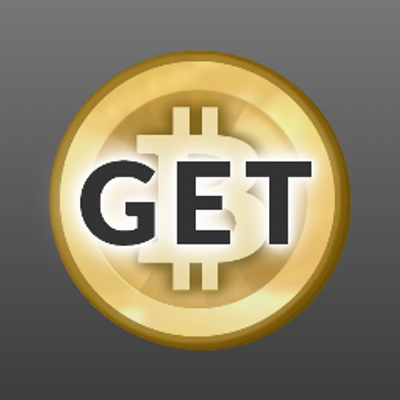 BitcoinGet is a survey and task site which pays out in Bitcoin. Compete a survey or offer, watch videos, or complete tasks from several popular offerwalls and rake in some Bitcoin! I joined BitcoinGet in December of 2017 and have earned over 133,000 satoshi in that time! Join BitcoinGet today, you will not be sorry! 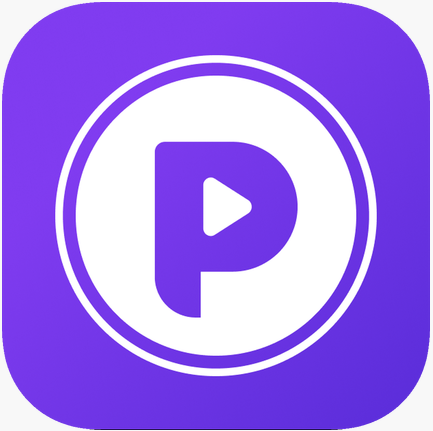 I have used a number of crypto earning apps which have turned out to be scams or duds. 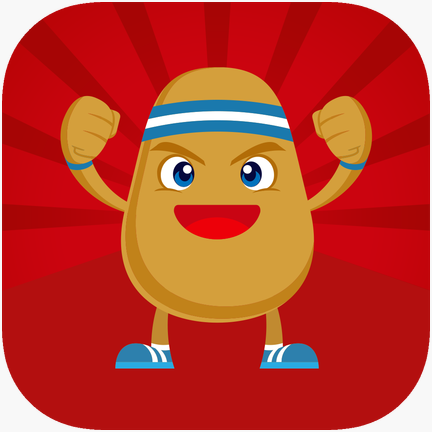 I am currently testing out a few apps that haven't paid out yet because I have not reached their payout minimums. Rather than pass these along I will hold this space until I can confirm that the apps are legitimate and pay as promised. Febbit is an online game simulation that pays out in Satoshi to FaucetHub. What does it simulate? Ironically enough, it simulates Bitcoin Mining! Configure your computer mining components to ramp up your earning and collect Satoshi at the top of every hour! Please note that in playing Febbit you are NOT ACTUALLY MINING Bitcoin, but are just playing a game. I started playing Febbit in late March of 2018 and have already earned over 33,000 satoshi with very little effort! Starcoins is a fun space exploration, mining, and fighting game that pays out to FaucetHub. My earnings for this game are included in the above listed FaucetHub earnings, but have totaled over 47,000 satoshi since May of 2018. After mastering the slight learning curve to figure out how to play the game, you are sure to earn a bit of crypto and have fun doing it with Starcoins! Rollercoin is another mining simulator, but you can earn PASSIVE Bitcoin on this site - meaning once you set up your account and get going - you earn small amounts of Satoshi even when you are away from the site! You can play fun mini-games on site to increase your simulated mining power and you can invest some of your Satoshi back into the game to buy simulated equipment to increase your mining power. I started playing Rollercoin in May of 2018 and have earned over 50,000 Satoshi in that time. Earnings can be transferred to your FaucetHub account once you earn over 10,000 Satoshi. 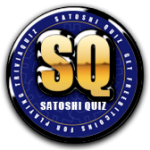 SatoshiQuiz is a fun trivia game where you compete against other players to earn free Satoshi by correctly answering multiple choice trivia questions. You must be one of the first three to correctly answer each new question in order to win Satoshi. At the top of each hour, you get 10 "lives" and you have 60 minutes to answer as many questions correctly as you can. Answer correctly and be one of the first three players to do so = you get Satoshi. Answer correctly and fall beyond the third to do so = you get nothing (except for the personal satisfaction in knowing the correct answer). Answer incorrectly = you lose one of your ten lives. (Once you hit zero lives you are ineligible to play until the top of the next hour). SatoshiQuiz is a fun and addictive way to show of your knowledge and earn some Satoshi doing it! I have been playing (off and on) since April of 2018 and have claimed over 7,000 Satoshi at SatoshiQuiz. CryptoMiningGame is a relatively new (to me) game that I am just beginning to explore. I have not yet accumulated much crypto playing this game and am still learning the ropes. But it came highly recommended to me and it looks like it could be fun and profitable! I started playing CryptoMiningGame in December of 2018 and so far I have earned over 300 satoshi. WARNING: This game appears to have some pop up link advertisements which are NSFW!! 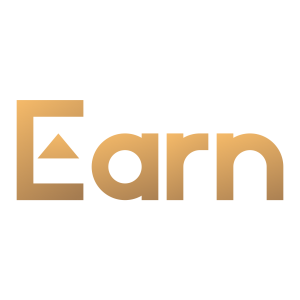 Earn is a site that pays you Bitcoin to sign up and use other crypto related services and startups. Many companies getting involved in the Blockchain will pay you a small sum to sign up for their service and 'test it out' so to speak. Complete a few initial steps, confirm your signup, and you're on your way! Earn also allows you to set a price for paid email solicitations. If you have a particular field of expertise and would like to be paid by others seeking professional guidance in that area, set your price and submit your field of experience and start to Earn! I have "Earn-ed" over 420,000 satoshi from Earn since May of 2018. 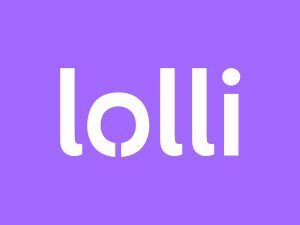 Add the Lolli extension to your favorite browser and earn FREE BITCOIN when you shop at select online merchants (including Walmart, Sams Club, Jet, Barnes & Noble, Office Depot/Office Max, CVS and many more). Use the Lolli links featured on GetPaid! and you will get $5 in free BTC when you make your first qualifying purchase! I began using Lolli in October of 2018 and have already earned over 30,000 satoshi! If you would like to make a small donation to help keep GetPaid! 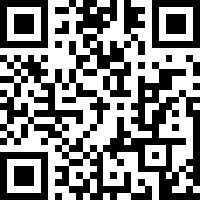 up and running, send a few satoshi to 34Q5owVCVF8Yyu7cQJDgvWFbztGtYErC1x or scan the QR code at the bottom of the page. Pingback: Bitcoin Blitz | Get Paid! Trackback: Bitcoin Blitz | Get Paid!